NORTH CAROLINA: Election Officials Find No Evidence Of Gov. 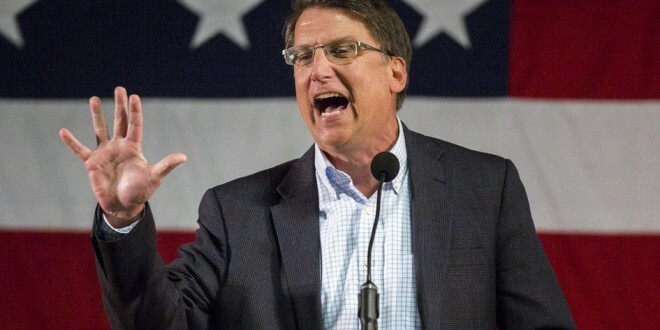 Pat McCrory's Claim Of Counting "Malfeasance" - Joe.My.God. Thomas Stark, general counsel for the state Republican Party, filed a formal protest Friday contending that the Durham County Board of Elections engaged in “malfeasance” with regard to ensuring the accuracy of votes counted election night. Durham County officials had to manually enter information after they were unable to upload data from six cards that saved information from ballot tabulators. Like all county elections boards, the Durham County Board of Elections is made up of two Republicans — including Brian — and a Democrat. The governor appoints members of the State Board of Elections, which appoints members of county elections boards like Durham’s. The Durham County Board of Elections will hold an 8 a.m. probable cause hearing Wednesday on the protest to consider whether there is any basis to the complaint. The meeting will be held in Durham County commissioners’ chambers at 200 E. Main Street. If the board determines there is any basis to the complaint, the board will hold an full evidentiary hearing at a meeting already scheduled for 11 a.m. Friday to certify the final voting totals for Durham County.